Canada’s only festival dedicated to films by or about people with disabilities will soon expand to other types of art. 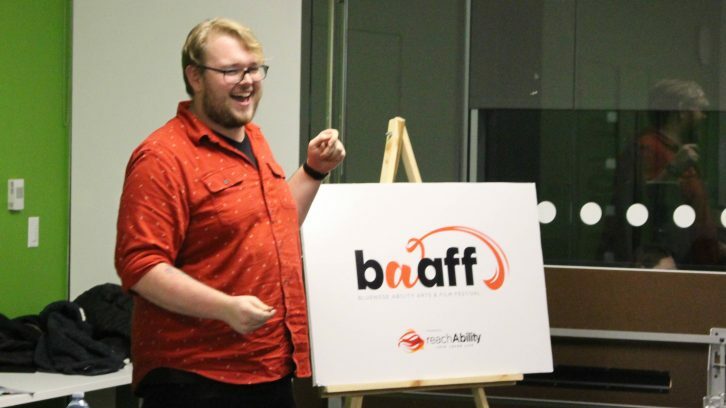 Starting next year, the Bluenose-Ability Film Festival will be known as the Bluenose Ability Arts and Film Festival. Along with film there will now be circus acts, drag, poetry and photography. Festival co-ordinator Jake Ivany said their goal is to change public perception of disabilities through mostly local art. The change was announced Monday at the festival’s Future in Disability Arts and Film panel. The festival was held in Halifax from Nov. 30 to Dec. 3. Another change is the festival will now run in May, during National Accessibility Week. The expansion will include events throughout the year, including films, drag performances and art exhibits. Ivany is hoping to have something at least every few months. According to Statistics Canada, Nova Scotia has the highest percentage of people with a disability over the age of 15, at 19 per cent. Ivany said one of the festival’s goals is to make sure more Nova Scotians with disabilities are able to participate — like Monday night’s panellists Vanessa Furlong and Brad Jones. Jones, a two-spirit artist with generalized anxiety disorder and depression, uses drag to challenge ideas about gender and sexuality. They plan on adding their art to next year’s programming. Jones wants the festival to be inclusive of anything that could fit the “art” category. “Because art can be anything, especially things we haven’t defined yet,” Jones said at the panel discussion. Jones would like to see more accessible workshops in each of the mediums represented at the festival. Ivany said they would like to add more workshops like this in 2019. Furlong, a self-identified “mad artist” who does circus performances, supports the expansion. She runs LEGacy Circus, an accessible circus company with her partner, Erin Ball, who lost her lower legs to frostbite. Furlong is looking forward to having LEGacy featured at a festival devoted to disability arts and plans on incorporating workshops for others to learn and try it out for themselves. She hopes these workshops can influence circus performance training. Often, when she and Ball go to classes, they spend most of their time showing the instructors how to coach a person with a disability. She hopes people will be able to stop checking to see if classes are accessible and just be able to attend them. Thanks for the comment Moses, it is an exciting development.